It’s one of my earliest memories from childhood; sitting with my parents in the little living room of whichever RAF home we were in then, waiting for our favourite programme to start. A little flickering screen in the corner. And then that music, Laurie Johnson’s strident theme, the brass section blasting out four notes which seemed to quite literally trumpet the programme’s title. The Avengers! The Avengeeeeers! Then the black and white credit sequence, cutting edge cool in the 1960s. And finally the episode itself, a delicious slice of surreal cold-war spy fluff as John Steed and Emma Peel took on the villains in their own spectacular style. These days of course, the same title conjures up images of brawny superheroes clad in latex and blessed with underwhelming ‘special’ powers, but in those far off times, it meant something quite different. There had of course been an earlier series with Honor Blackman as Cathy Gale, but I don’t really remember that as clearly. The second series is imprinted so perfectly in my memory, that even now, more than fifty years later, I can recall entire scenes, even lines of the witty dialogue. I know that I was absolutely besotted with Diana Rigg who seemed to me the very epitome of feminine mystique – lithe, pretty, intelligent and powerful enough to fell a villain with one perfectly timed karate chop (even if, in long shot, you could sometimes see that she had been cunningly substituted by a burly bloke clad in an ill-fitting leather jumpsuit.) And of course, I saw all the later incarnations. I never really warmed to Linda Thorson as Tara King, but I did like Joanna Lumley as Purdey in The New Avengers, almost as much as I despised Gareth Hunt as the perpetually smirking ‘bit-of-rough’ Mike Gambit. Of course, the problem with a successful show like The Avengers was the danger that it might typecast the stars. Rigg had no problem escaping its clutches, becoming a major star of the theatre, but McNee didn’t manage much else but some forgettable television and an occasional film cameo; a shady psychiatrist in Joe Dante’s The Howling, a delightful turn as Sir Dennis Eaton-Hogg in This Is Spinal Tap, even a decent showing in a Bond film, opposite Roger Moore in A View To A Kill. 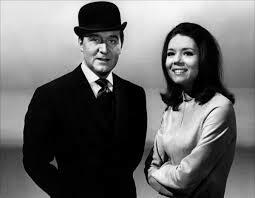 But John Steed would remain his signature role, as much a fantasy image perhaps as those created by his female co-stars. In real life, you suspected, you’d actually hate someone like John Steed. With his Gentlemen’s Clubs, his impeccable manners and his old style courtesy, he was, even in the swinging 60s, something of a dinosaur – but MacNee’s charming manner made you believe that underneath it all he was a really nice chap, that should you bump into him in real life, he’d be every bit as charming as his fictional counterpart. It’s always a jolt when you read that one of your earliest heroes has died. MacNee was 93 years of age, which by any standards is (as Steed himself might have observed) a jolly good innings. Back in the day, we tended to sneer at television shows. It’s only recently that TV has had something of a renaissance and we wax euphoric about the likes of Breaking Bad and True Detective. But The Avengers was an example of television at its most groundbreaking. Re-watching that opening credit sequence on YouTube still gives me the same thrill I had when I was a little boy. 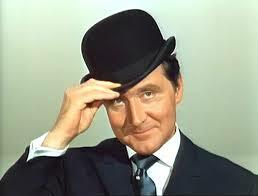 And if Patrick MacNee will always be John Steed in the nation’s memory, well that’s no bad thing. Because in his own way, he was one of the greats. There can be few fictional characters who have enjoyed as many interpretations as Sherlock Holmes – we’ve already seen him as a young man, so it was perhaps inevitable that somebody would take him in tother direction. Here, he’s played by Ian McKellan as a 93 year old, convincingly aged in state-of-the-art latex. It’s 1947 and he’s long retired to a village in Sussex, where he’s looked after by housekeeper, Mrs Munro (Laura Linney making a decent fist of an English accent). Her young son, Roger (Milo Parker) clearly idolises the old man and has a bit of an interest in detection himself. Directed by Bill Condon, the film is adapted from the short story A Short Trick of the Mind and has Holmes struggling with the onset of dementia, whilst desperately trying to piece together and write about the particulars of his last case, the one that made him retire from the detection game. In this parallel universe, Sir Arthur Conan Doyle never existed. The Holmes stories really were written by Dr Watson (who we only glimpse in flashback) and Holmes is clearly a lost soul without his old partner to back him up. This is a slight though pleasing story, dominated by a perfectly nuanced performance from McKellan (though it has to be said, there’s more than a passing resembance to his turn as James Whale in Gods and Monsters, which Condon also directed.) 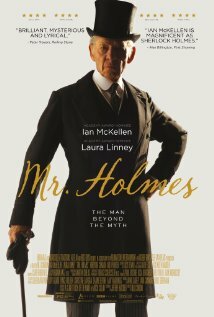 He’s ably supported by the other members of the cast, particularly young Milo Parker and by Hattie Morahan as the young woman who’s tragic story causes Holmes to ditch sleuthing and take up beekeeping instead. If the tale occasionally strays into the realms of sentimentality, it’s of no great consequence; this is diverting enough but the earth doesn’t move and it makes you think that in the end, Holmes tales are a bit like buses – there’ll be another one along soon. 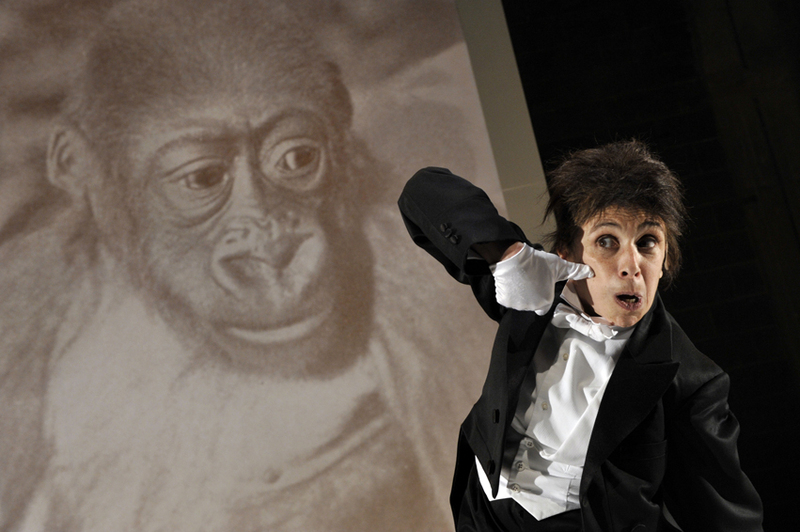 Based on Kafka’s short story, A Report To An Academy, and adapted for the Young Vic by Colin Teevan, (though it follows the original text pretty much word-for-word) Kafka’s Monkey is a fascinating monologue by Kathryn Hunter. It tells the story of Red Peter, an ape, captured in Africa and taught by his human masters to walk, talk and behave as a ‘human,’ mostly by aping the very worst aspects of humanity. Over a taut 50 minutes, we follow Peter’s progress from helpless captive to celebrated music hall performer and are left to speculate about the question of identity. Peter ultimately emerges as a misfit, a creature neither ape nor human but somewhere in between, and consequently a tragic figure. The play is completely dominated by Hunter’s extraordinary performance. Make no mistake, this is a tour de force of the actor’s art. She shuffles onstage, her body stooped and twisted and brilliantly embodies her simian character, eerily conveying Peter’s eccentric moves and his stylised way of speaking. Sadly, the production’s other aspects aren’t quite in the same league. Teevan’s script attempts a form of iambic pentameter for Peter’s ‘human’ utterings and free verse form for his ‘monkey’ self – but the story is short on anecdotal material. The presentation is after all supposed to be taking place in a scientific establishment, which may go some way to explain its curious sense of detachment, but a more intimate approach would surely have elicited more empathy with Peter’s plight. A central screen seems somewhat underused, displaying as it does just one image, that of a chimpanzee. It’s left blank for most of the running time and might perhaps have been used to indicate different scenes – the hold of a ship, perhaps or a music hall. There’s a sparse electronic score, which again seems perfunctory, particularly when set against Hunter’s bravura performance. 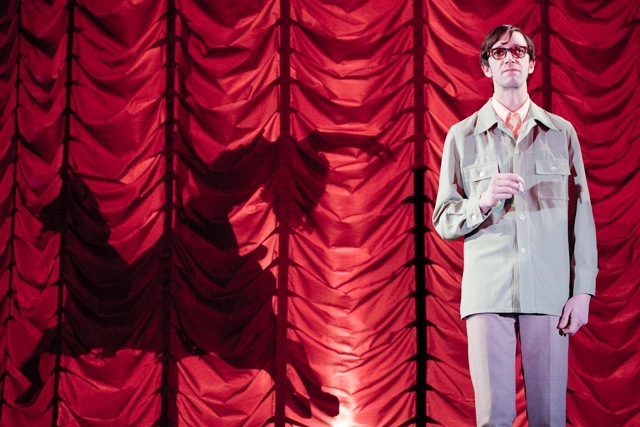 There are a couple of welcome touches of humour scattered throughout the proceedings as ‘Peter’ interacts with people in the front row, hugging them, offering them bananas, coaxing them to join him onstage. Hunter also performs some contortions that elicit gasps of amazement from the audience. She’s worth the price of admission on her own, but I can’t help feeling that more supportive staging would have lifted this production to another level entirely. It’s not our usual practise to re-review a restaurant only a few weeks after we’ve visited, but in Damson’s case, our previous visit was spectacularly mistimed – only a few weeks before the place was given a major refurbishment and the menu overhauled. 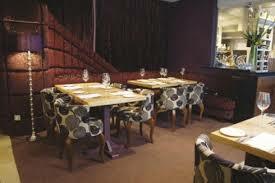 What’s more, since Steve Pilling’s establishment sets the bar for dining on ‘the Moor’ and because it was Susan’s birthday, now seemed as good a time as any to make an exception to the rule. As for the menu, there’s a new selection of reasonably priced cocktails on offer and some sharing platters, one of which we decided to try instead of a conventional starter (though the platters are usually available only on the lunch menu.) These are generously sized wooden boards, which come loaded with four kinds of cured meat, four kinds of cheese, plenty of sourdough bread, butter, chutney, homemade pickles and your choice of three jars, each one packed with a delicious spread – there are eight jars to choose from. We opted for Duck with potted pear and hazelnut, Whitby Crab and Crayfish with avocado and Herb Goat’s Curd with salt baked beetroot. To say that each of these was delicious would be something of an understatement. They were, quite frankly, exquisite. A sharing board costs just £15 and at lunchtime, accompanied by a drink, are clearly a brilliant idea for two diners. But this was a birthday evening so we moved on to a couple of main courses from the new set menu, now available till 9.30 on a weekday and till 6.30 at the weekend. 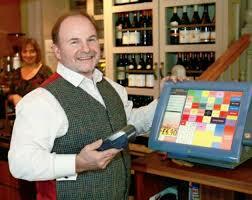 it costs £15 for a main course, £20 for two courses and £25 for three. My choice was the Slow Cooked Middle White Pork Belly with apricot, pak choy, curried lentils and potato. As ever, this was note perfect, the mildy spiced lentils proving the perfect accompaniment to that succulent, mouth-watering meat. Susan sampled the Grilled Fillet of Mackerel, with pesto creamed potato, tomato, olives, coriander and lemon. The fish was perfectly cooked, with a crispy exterior and a moist, richly flavoured interior, the intense flavour perfectly counterpointed by the delicately flavoured pesto mash. Would there be room for any of those delicious desserts? Sadly no, mainly because the sharer had been so generously proportioned, but I’m not complaining. (See our previous review for our thoughts on Damson’s desserts!) Suffice to say that after six years, Damson is not resting on its laurels and the Moor’s other contenders are going to have to work really hard if they hope to challenge its dominance. Our meal with a decent bottle of Pino Grigio came to around £65, proof positive that you don’t have to pay out a fortune for fine cuisine. 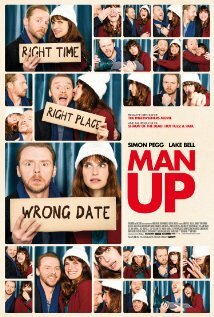 Some films are little more than entertaining fluff, but as entertaining fluff goes, Man Up is right there with the best of them. It boasts two likeable leads in Simon Pegg and Lake Bell, a great supporting cast, a witty script by Tess Morris and a genuine ‘feel good’ tone that carries you effortlessly through to its (pleasingly predictable) ending. Mistaken identity is a familiar conceit in the movies and many have tried this idea with average results, but Man Up is a superior product in most respects. The quirky script has far more surprises up its sleeve than you might expect from a subject like this and there are some genuinely laugh-out-loud moments along the way, even if we know all along that Jack and Nancy are made for each other and there’s no way the filmmakers would dream of letting us down in that regard. If you’re expecting the earth to move, this may not be for you, but if you’re in the market for a quirky, heartwarming feel good picture, you could frankly do a lot worse than this. We were (ironically) away from home for the launch of Home – Manchester’s brand-spanking new arts centre, which takes over from two legendary local institutions, The Cornerhouse and The Library Theatre. Home is housed in a great big serious-looking building at the end of First Street, replete with cinema screens, theatres, exhibition spaces, a cavernous bar and a restaurant. What’s not to like? 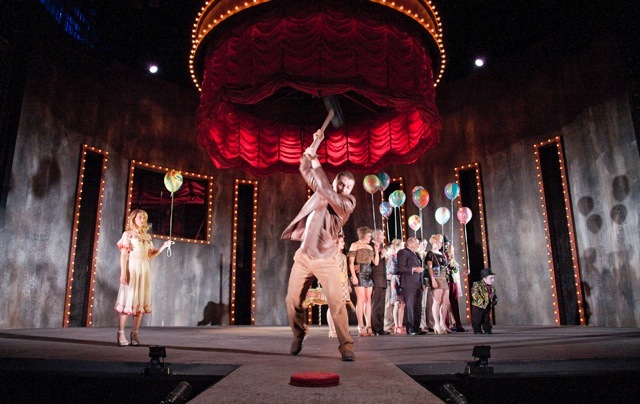 There’s certainly plenty to like about its inaugural theatre presentation, The Funfair. This is Simon Stephens’ astute adaptation of Odon Von Harvath’s late 20s play Kasimir and Karoline. Stephens must be the hardest working person in theatre right now and if Von Harvath’s play seems a wilfully obscure choice as the opening gambit for a brand new venue, its certainly a prescient one – the original play was set in austerity-stricken Munich just a few years before the rise of the Nazi party. It’s surely no coincidence that the story strikes a whole series of ironic chords with what’s happening in the UK right now. The action takes place in and around a seedy fairground and Ti Green’s design captures perfectly the tawdry splendour of such settings. Neon lights flicker, carousels whirl and you can almost smell the fried onions. Cash (Ben Batt) is a former chauffeur, himself a victim of the stricken economy. Out of luck and now out of work, he worries that his already turbulent relationship with fiancé Caroline (Katie Moore) is doomed to failure by his lack of employment – and there are certainly plenty of temptations lying in wait for her when, after a row with Cash, she decides to visit the fair, with the professed intention of going on ‘all the rides’. She soon elicits the attentions of John Chase (Rhodri Meilir) a dorky but ambitious salesman with a liking for ice cream. When John’s rich boss, Billy Smoke (a superbly lascivious Ian Bartholomew) turns up accompanied by his equally venal companion, David Spear (Christopher Wright) their combined gaze falls upon Caroline… and the stage is set for a deliciously dark allegory about the human condition and its propensity for excess. The Funfair is a dazzling box of delights, a real multi-media event that employs lights, shadows, live rock music, back and front projection, masks, movement and a central turntable that’s used to stunning visual effect, but none of this is ever allowed to overwhelm the splendid performances from the ensemble cast. Stephens’ canny script flips us back and forth like a well-oiled rollercoaster between the various intertwining stories and the events culminate in a bitter-sweet scene that will stay with you long after you’ve stumbled out of the building. Home really couldn’t have asked for a better opening salvo than this. It’s on until the 13th of June and it’s an unqualified delight. Miss it and weep.